Counterfeit imaging supplies often contain dangerous chemicals which can damage printers, as well as causing serious health issues for consumers; the market in these illegal products is now believed to be worth €1.6bn, with law enforcement agencies across the globe struggling to meet the rising challenge. The sale of counterfeit goods can also fund human trafficking, the drugs trade and even terrorism. The harm done to a reseller’s reputation by selling these illegal goods is significant – so, what can a business do to ensure they don’t get caught out? The simplest way that a retailer can protect their reputation is to not purchase counterfeit printer products. Buying from an original equipment manufacturer (OEM) is just one of the ways that a reseller can trust that its customers will receive optimal printing performance. Consumers also benefit from the manufacturer’s customer service support, should they run into any technical problems while using the products – should something go awry, they are covered by the item’s warranty. For Valerie Whitelaw, a brand protection manager for Corporate Security at Xerox, and ICCE member, the problems of counterfeit printing products are all too real. “Counterfeiting is a multi-million dollar business” she says. “Having worked with law enforcement agencies around the world, I have seen first-hand the human cost of allowing these illegal supply chains to continue. Criminals will do their best to infiltrate supply chains with counterfeit products that look like the real thing, but help is available. The Imaging Consumables Coalition of Europe, Middle East and Africa (ICCE) has more than two decades of experience in stopping the sale of counterfeit goods. ICCE provides advice and support to dealers, distributors and consumers in the identification and authentication of ink consumable products, such as ink cartridges, ribbons and toners. ICCE members follow a strict code of conduct to ensure they don’t break any competition legislation when sharing information. The association also provides training to law enforcement agencies. The organisation’s website has more information about ICCE and its work. Counterfeit products are, without doubt, a threat to the market of genuine products and the future viability of legitimate businesses, as Nicola Consterdine, IP protection manager at Epson Europe, and ICCE member, explains. “At Epson we invest heavily into research and development – approximately six per cent of our annual turnover, or $1.3m every day – and a significant proportion of this goes towards ink development to ensure the printer and ink will deliver the premium results our customers expect,” she says. 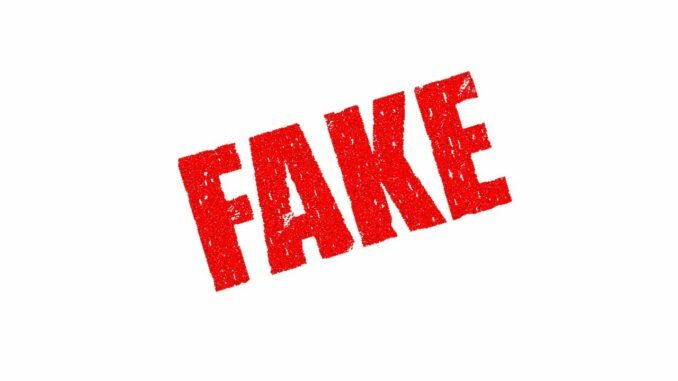 Selling counterfeit products is a criminal offence and it is therefore advisable to check the source of products supplied to you. In recent months there have been several notable criminal prosecutions against counterfeiters and companies breaking consumer protection legislation; several individuals have received substantial jail sentences and significant fines as a result and, in Greece, two men were recently each sentenced to 21 months in prison for selling counterfeit printer goods. The scale of the problem facing law enforcement is enormous, and makes intelligence-sharing even more vital. In the past few months police in the UAE have seized fake toner cartridges worth some $40m, while raids in Turkey uncovered more than 14,000 counterfeit printer products with a street value of €2m. ICCE members helped identify fake versions of their products during these investigations. As the number of counterfeit imaging supplies has increased, law enforcement has joined forces with industry to combat the rising threat to consumers. “Consumers don’t expect [to find] fake shampoo or a fake ink cartridge for sale on the internet or in the shops,” Chris Vansteenkiste, a cluster manager with Europol’s Anti-Counterfeiting Unit, IPC3, said during an interview with ICCE last year. The new head of Britain’s City of London Police Intellectual Property Crime Unit (PIPCU), Detective Chief Inspector Teresa Russell, goes further. “Why would anyone subject their family and friends to something that could cause severe physical harm to themselves or their property, for the sake of saving a couple of pounds? There are three key things for a dealer to check when purchasing imaging supplies to avoid falling foul of counterfeiters: source, price and quality. In addition, legitimate products have authentication features which can help resellers and consumers to identify potentially counterfeit products. Source: Buying from a trusted dealer, or straight from a manufacturer, ensures that a reseller can have full confidence that the product they are receiving is genuine. They can show a potential customer detailed product information from the brand, which provides reassurance during the sales process. Price: If the price sounds too good to be true, then it probably is. Quality: If customers report any problems with the product – such as leaking, poor quality printing or strange odours – then it’s paramount that a dealer takes immediate action and recalls the item for review. Delay could cause further damage to a customer’s device and harm a reseller’s reputation by supplying a customer with a fake product. Authentication: Counterfeiters make their money by selling multiple copies of smaller value items. As a result, they often make mistakes on the packaging or labelling which are easily identifiable, such as spelling brand names incorrectly. On the ICCE website, many manufacturers have explained the authentication methods they employ which can help resellers identify whether a product is counterfeit or not. To download the ICCE reseller leaflet, click here. To view the reseller video on You Tube, click here.